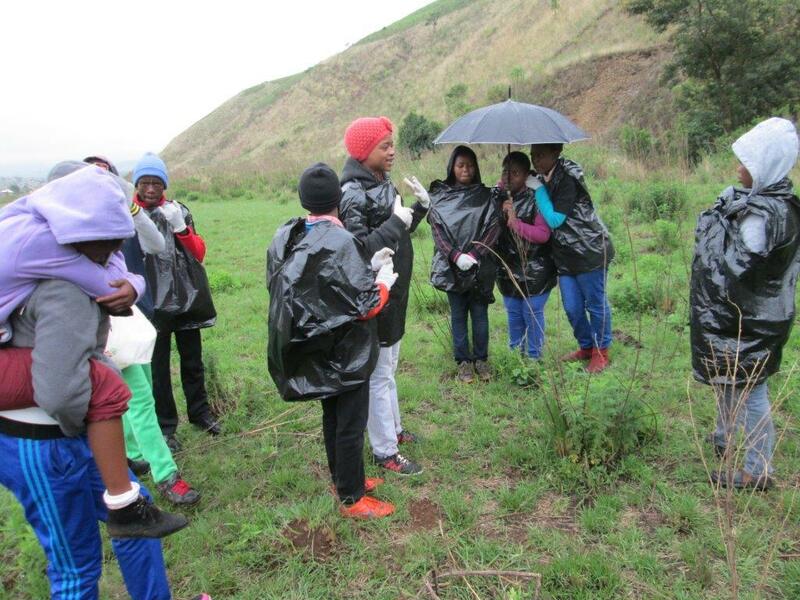 Last month, the Mpophomeni Conservation Group invited youngsters to learn about the indigenous forest patches in the area and compare them to man made plantations. Discussions amongst the students around the issues of Alien vs Indigenous were vigorous. 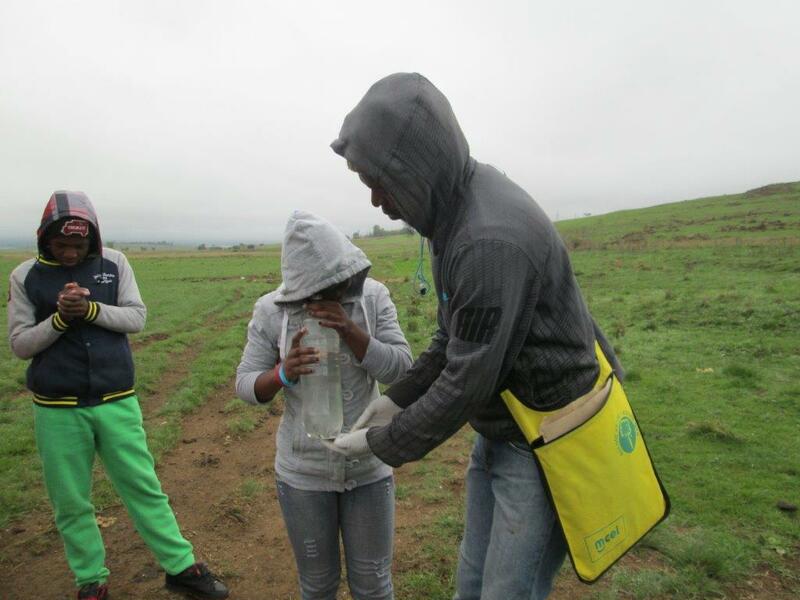 Nomfundo Mlotshwa was curious to know why people still planted invasive species which use so much water. “To make all the furniture – like our school desks. iHlahla zesizulu zikhula zibe nestem esincane. Indigenous trees grow too slow.” Asanda Ngubane replied. They wandered up the valley along the stream in search of interesting trees, and to their horror, observed five overflowing manholes polluting the river and six dumping sites close to the bank. “I am worried that the rubbish will wash into the river when it rains” said Lineth Mbambo. Much of the river that they walked beside appeared to be in a very poor condition. Once they got beyond the mass of houses, they were pleased to discover the river in a much better state. They explored a little and determined right away to return and do miniSASS tests along the length of the uMthunzima which flows directly into Midmar. We named our sites 1, 2, 3 and 4. Before we started Sihle Ngcobo asked “What is miniSASS? I saw the word in your invitation SMS and went to the dictionary but unfortunately I didn’t get the definition.” I explained what it is and why it is important to monitor streams in order to understand changes to the stream. At Sites 2 and 3 we did miniSASS together. 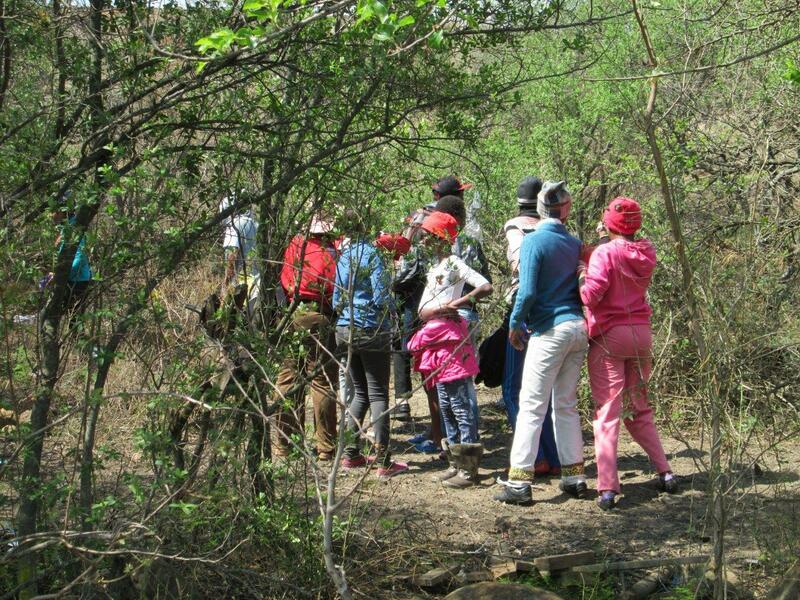 Kids were separated into 2 groups to do miniSASS at site 1 and 4. 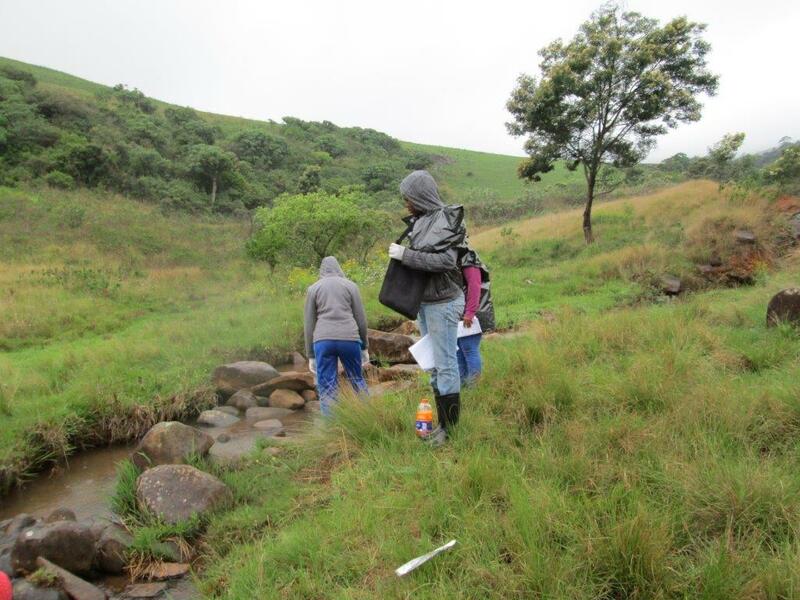 Site 1 is lower down the stream and site 4 is up the uMthunzima stream closest to the source. 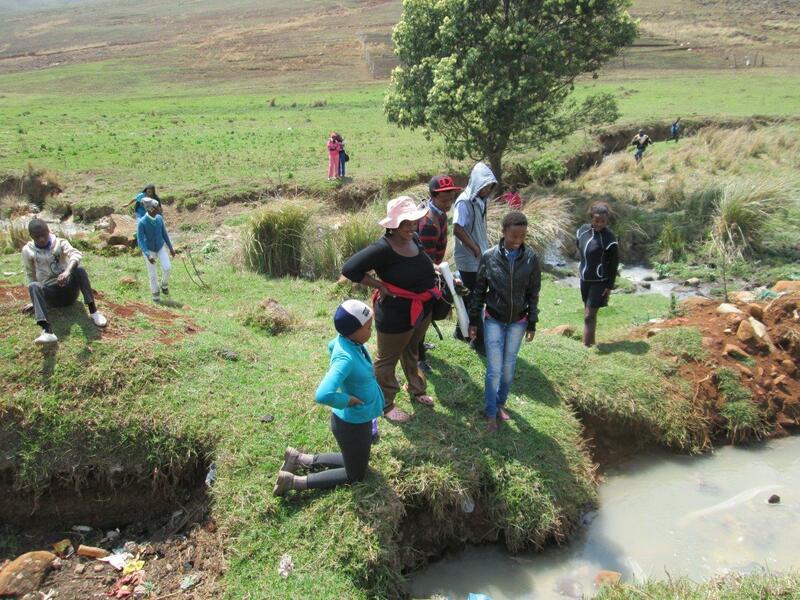 As we go up the stream kids noticed that the clarity of water improved and miniSASS score changed from bad to good. At site 1 the water clarity was good but the miniSASS score was 3.5 which is very bad. We thought it because there was not too much life. We only 4 invertebrates and there was no oxygen because water was moving slowly and there is raw sewage from the manhole entering the stream above. At site 2 the water clarity was good and the miniSASS score was better – 5.6. 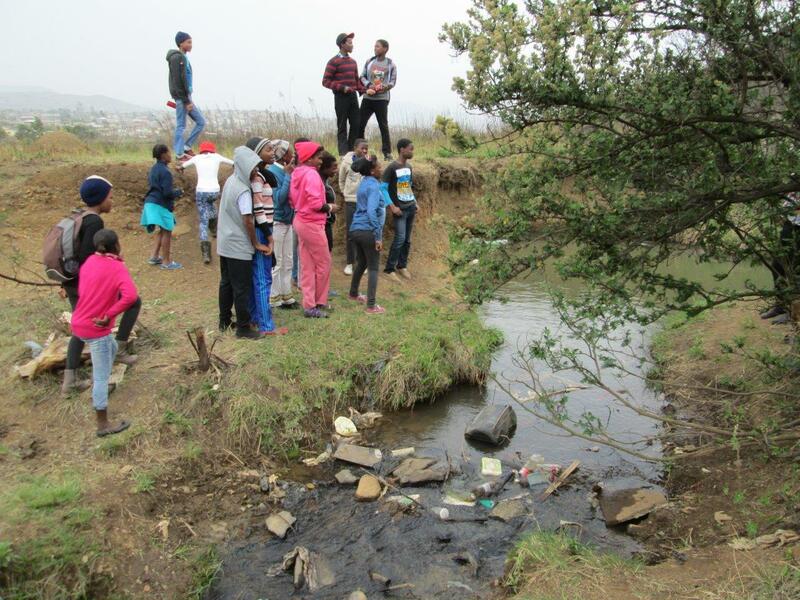 There was more life and no sewage coming into the stream but there was some human activities – like washing and an illegal dumping site. At site 3 the water clarity was very good. There was more life we found 5 invertebrates and score was 7.8 which means the river is in good condition.The water was bubbling over the stones, which meant there was oxygen in the water. 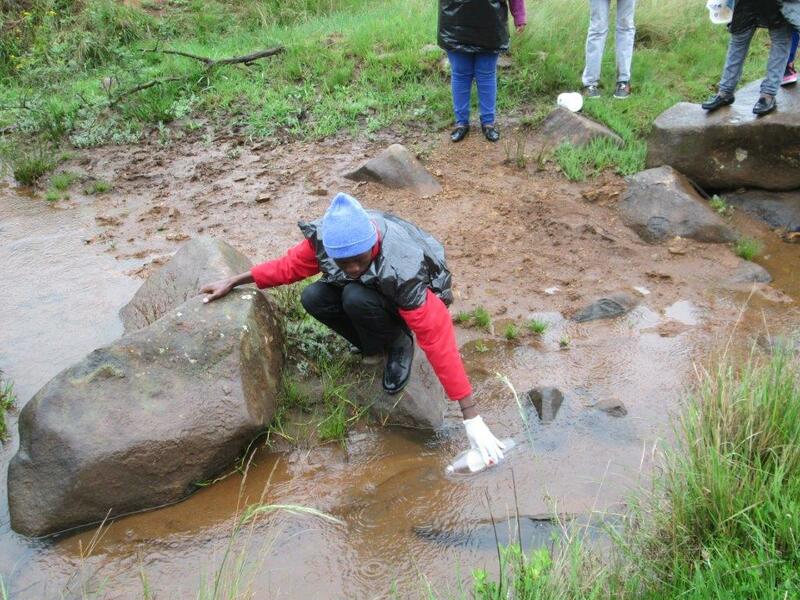 Here Asanda Ngubane found a stonefly! At site 4 the water clarity was the same as at the site 3 but the miniSASS score was only 5.6. We found 7 invertebrates. Water moving slowly, means low oxygen. We are confused why we got so much difference between site 3 and site 4 because site 3 and 4 they are 15 meters away from each other and site 4 is further upstream than site 3. We will return to these sites again. We had fun and the kids plan to go back on a sunny day, do more test and compare results. 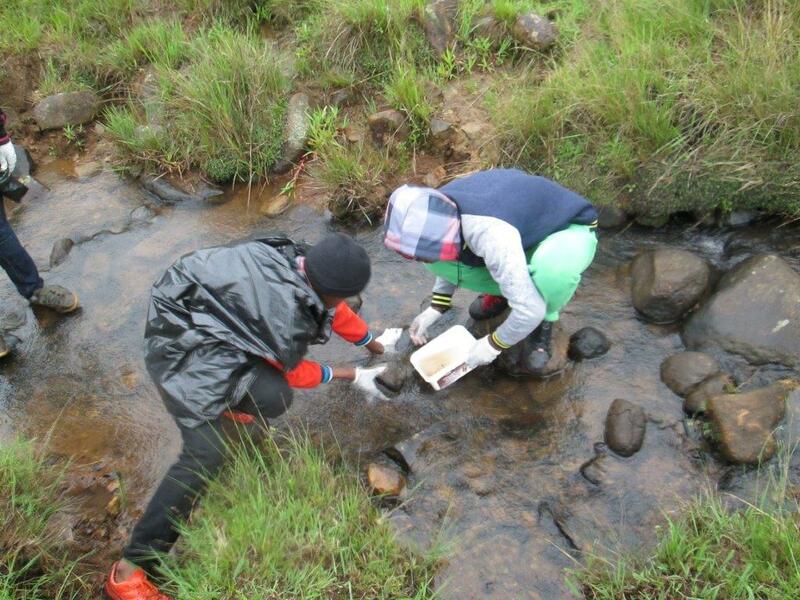 Londeka said “It is a new information for us about aquatic invertebrates adaptations and it will help us in Life Science.” I made it clear that we can only drink water from the stream where we found a stonefly and that if there are human activities upstream we can not drink that water. 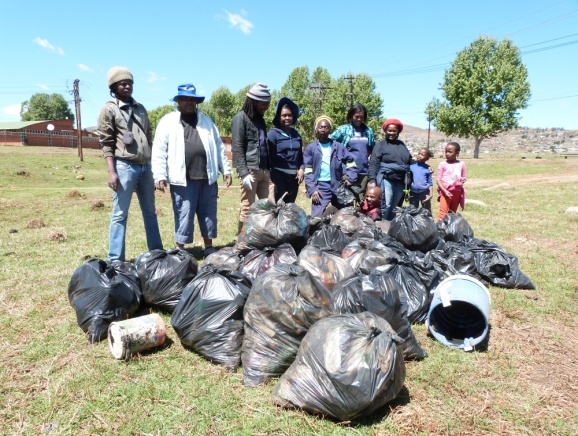 Earlier in October, MCG collected 46 bags of litter from the uMlanga Stream near where it flows under Mandela Drive. 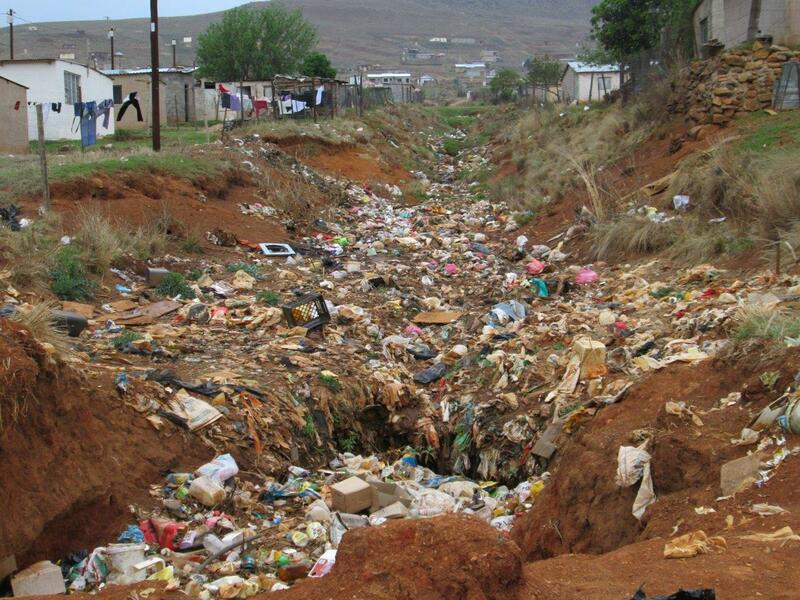 Ayanda phoned the Municipality to collect the rubbish and was pleased when they arrived a few hours later. Ayanda concludes: We chose this spot because it is visible. to encourage others who love their environment to volunteer to help. People passing by appreciated the work we were doing. One said “We must make you guys counsellors because it seems you love your area”. 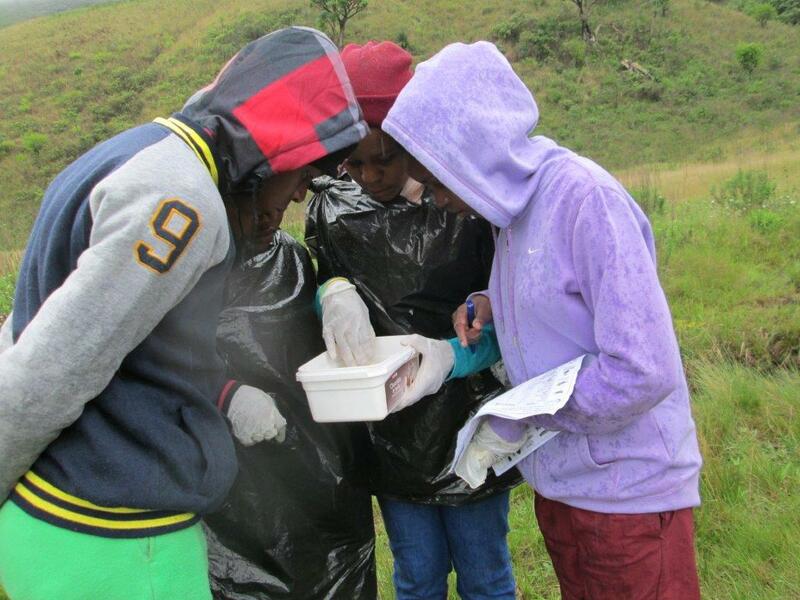 This entry was posted in Conservancy Action, Environmental Issue, Environmental Learning and tagged miniSASS, mpophomeni, Mpophomeni Conservation Group, river health, stonefly, uMthunzima stream, water pollution on November 14, 2014 by Midlands Conservancies Forum.